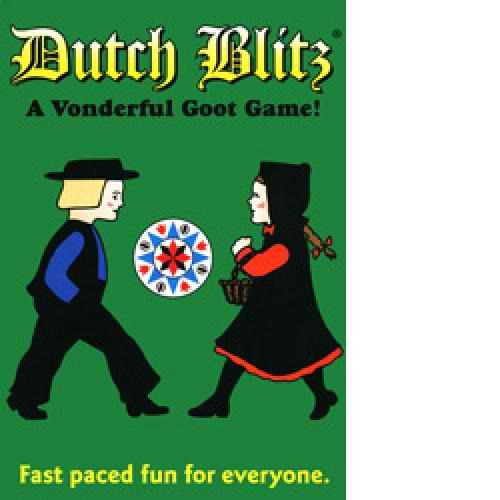 Dutch Blitz is a fast-paced friendly family game where players try to compose sets of cards out of the deck in such a way as to get rid of their Blitz pile as soon as possible. This game was created by a German immigrant from Pennsylvania Dutch country, and this game is very popular with the Pennsylvania Dutch and Amish community even today. This is a simple game that is easy to learn, and fun for everyone! Dutch Blitz has been a favorite of card players for decades. And it’s more popular today than ever. 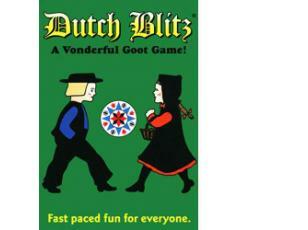 Give it a try and we think you’ll agree: Dutch Blitz is a vonderful goot game.